Dr. Gaynor holds both BA and MA degrees in Musical Performance on Trombone from San Francisco State University and holds a lifetime teaching credential in music from the State of California, as well as a teaching credential in New Mexico. Dr. Gaynor also holds Administrative Credentials in California and New Mexico. Dr. Gaynor earned her doctorate degree in Curriculum and Instruction with an emphasis in Instructional Design from University of San Francisco. 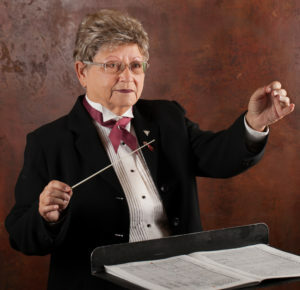 Prior to official retirement from California public schools, Gaynor spent over 30 years as a music teacher, high school administrator and part-time college and university instructor – during which time she was also very active with local community theater companies serving as musical director and conductor for well over 35 musical productions, as well as co-principal trombonist with the Peninsula Symphony. After moving to Santa Fe in 2006, Dr. Gaynor has been active as a teacher, student and new teacher mentor, performer, conductor, adjudicator and clinician. When not practicing trombone, rehearsing with a group, mentoring or teaching, you will more than likely find her on the golf course. © 2007 - 2018 Concordia Santa Fe, Inc. All Rights Reserved.